A special synchronicity happens when the personality of a city’s sports team matches its own. The 1970s Pittsburgh Steelers dynasty personified the lunch-pail mentality of that town. And the Yankees of that same era reflected the chaos, conflict and bigger-than-life personalities of Ed Koch’s New York. The Dallas Stars have only recently turned a page in club history, with Tyler Seguin and other newcomers lifting the team into respectability. And these revamped Stars match the style of their home town, for better and for worse. Ask North Americans for their impression of Dallas, and they might mention the football team, the TV show, or the political and religious climate that’s somewhere to the right of what passes for the right in most places. But more than anything else, Dallas is flashy. The skyline shines glassy by day and luminous at night. Wealth is displayed brazenly, maybe frantically. Long before postmodernism had a name, Dallas was a place where appearance determined reality. Dallas at its best is a place that’s fun to watch. There’s energy, virtuosity, a can-do attitude. Ascent seems perpetual and the future trumps the past. The down side of Dallas can be found in its hollow center. It’s just a little prissy. Dallas doesn’t like getting dirt on its shirt. It’s not grounded in sweaty reality like towns in the Northeast or Midwest. The Stars have some offensive flash. 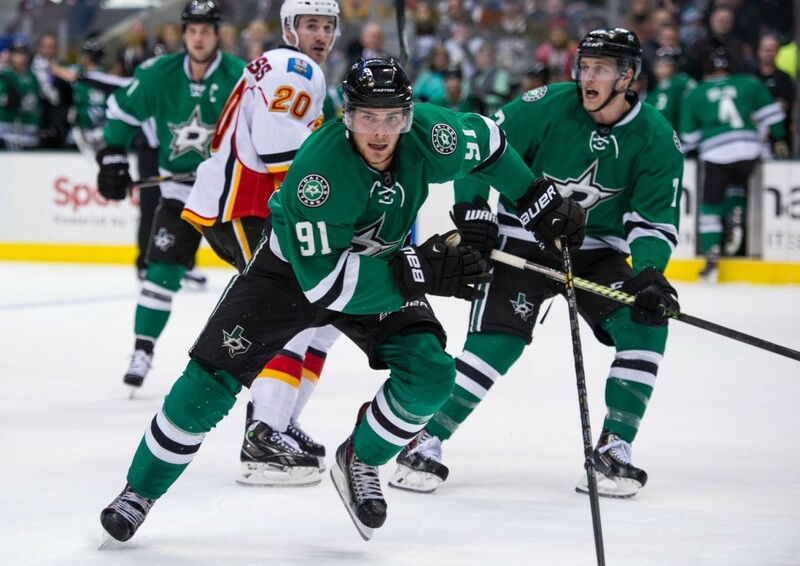 Through five games, Seguin ranks third in the NHL in scoring with eight points (four goals, four assists). 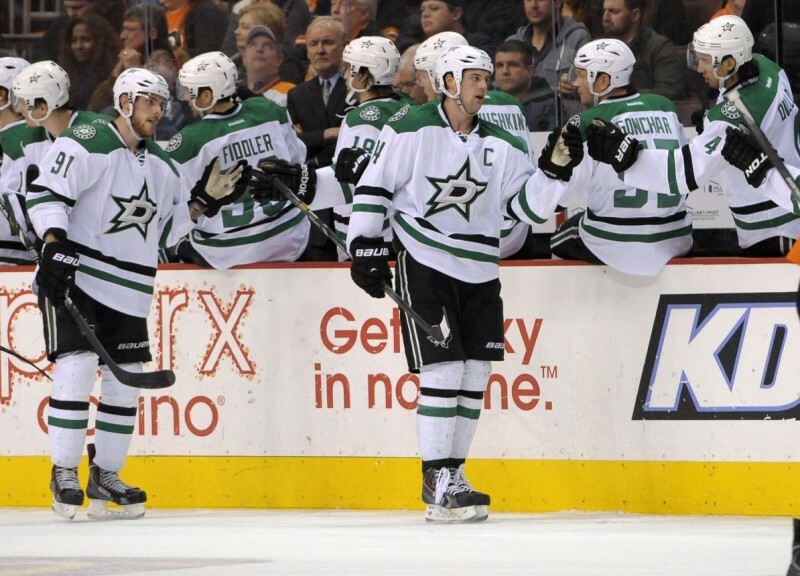 Jamie Benn (three goals, three assists) and Jason Spezza (one goal, six assists) aren’t far behind. Dallas leads Central Division teams in goals scored with 15. But the Stars’ puck-possession approach doesn’t translate well to shorthanded situations. In penalty-killing, Dallas is tied with Arizona for 28th in the 30-team league (71.4 percent). 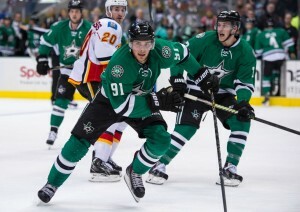 The Stars aren’t going to out-muscle many teams and need to give opponents a reason to avoid penalties. There’s also been an inability to finish. Dallas has two overtime losses, including a frustrating home defeat by Philadelphia that included the Flyers coming back from two third-period deficits. The Stars have lost both of the games that they led going into the third period. Wide-open hockey makes for some exciting moments. And in a Sun Belt market, it’s a good product for creating interest with fans that have a modest knowledge of the game. But to deliver more than high-scoring games, these Stars will have to develop their blue-collar side. Lacking a dominant defenseman, Dallas struggles with grind-it-out tasks. In order for the team to have a record as pretty as their top forward line’s stats, these Stars must learn to grind. Flashy might be good enough for the city around them, but that will only take you so far in hockey.